Exlpore our Special Offers Sunset Key Guest Cottages, A Westin Resort is located on gorgeous Sunset Key, a secluded 27-acre Florida island. Comprising seven acres of the island, the cottages are designed for the sophisticated traveler who demands the very best. The surrounding acreage is dedicated to the most exclusive residential community in Key West, Florida. Relax on the white sand beach, complete with cabanas, lounge chairs, and beach attendants. When a change of scenery is in order, our tropical freeform garden pool with whirlpools offers another opportunity for rejuvenation. Overview Sunset Key Guest Cottages, A Westin Resort is located on gorgeous Sunset Key, a secluded 27-acre Florida island. Comprising seven acres of the island, the cottages are designed for the sophisticated traveler who demands the very best. 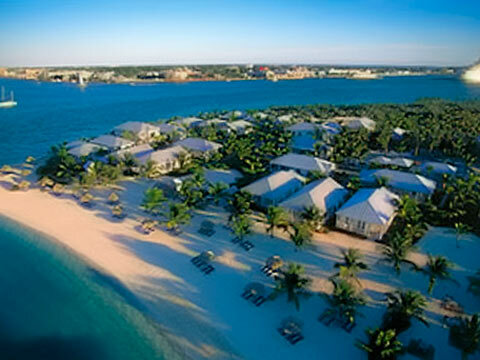 The surrounding acreage is dedicated to the most exclusive residential community in Key West, Florida. The superbly appointed cottages are nestled amidst swaying palm trees alongside a white, sandy Florida beach. Traditional Key West architecture and magnificent ocean and garden views fill each cottage with charm. Inside, you'll find a fully equipped kitchen, living and dining area, multiple bathrooms, CD and DVD/VHS players, beverage, and pantry bar. Relax on the white sand beach, complete with cabanas, lounge chairs, and beach attendants. When a change of scenery is in order, our tropical freeform garden pool with whirlpools offers another opportunity for rejuvenation. Tennis enthusiasts can step up their game on our two available courts. Cool down with a refreshing exotic tropical drink from Flipper's Pool Bar. Dine beach-side at Latitudes Beach CafÃ©. Or arrange for a private chef to prepare an in-room meal. A short 10-minute boat ride (available 24 hours a day) can whisk you away to The Westin Key West Resort & Marina, which is in the heart of "Old Town" Key West. From there you can walk to the many local attractions, including the Harry S. Truman Little White House, the Key West Museum of Art & History at the Customs House, and numerous shops and art galleries. Itâ€™s easy to see why our resort was ranked #14 of the Top 50 Resorts in the U.S by the CondÃ© Nast Traveler 2006 Readersâ€™ Choice Awards.